What are the teacher to child ratios at A Child Place? Kids of different ages can be together, however, you must follow the ratio of the youngest child. We follow and try to surpass these guidelines at A Child Place. What should I look for in a good quality center? 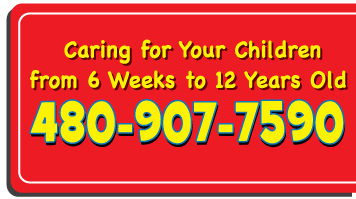 There are many factors you should consider when looking for a good quality child care center. In addition to ratios, you need to look at how many children can be in a room at a time. Although teacher to child ratios are being met, too many children in a classroom is not a very good learning environment. Class sizes should not be more than 2 times the teacher to child ratio. You should also ask how long that director has been at that center. Centers that have director turnover should raise a red flag, as they are the leadership in the center. Also, look at staff turnover. How long has that teacher been with that center? Many directors and teachers have been in the child care field for a long period of time, but if they bounce from center to center, that is concerning. Observe how the teachers interact with the children. Do they show genuine caring for the children? The teacher – child relationship is extremely important. Is the center clean? Does the center smell like dirty diapers when you first enter? While a teacher may have just changed a diaper in the classroom (which may have an odor), that odor should fade quickly if the diapers are disposed of properly and the changing station is cleaned and sanitized properly.